The collection Medallion II. 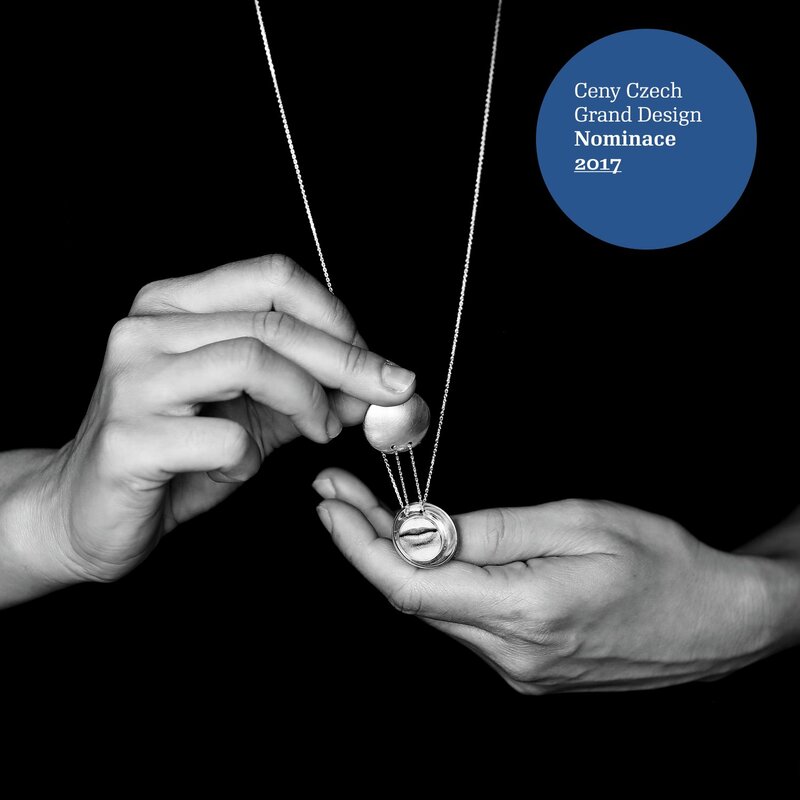 was nominated for Jewel of the Year Award at the CZECH GRAND DESIGN in 2017! Thank you so much!!! Some time ago I created a custom-made medallion. I had had this idea in my mind for some time. Everybody liked it very much, so I decided to create a medallion that everyone could buy. The basic concept consists of two halves and their permeation. 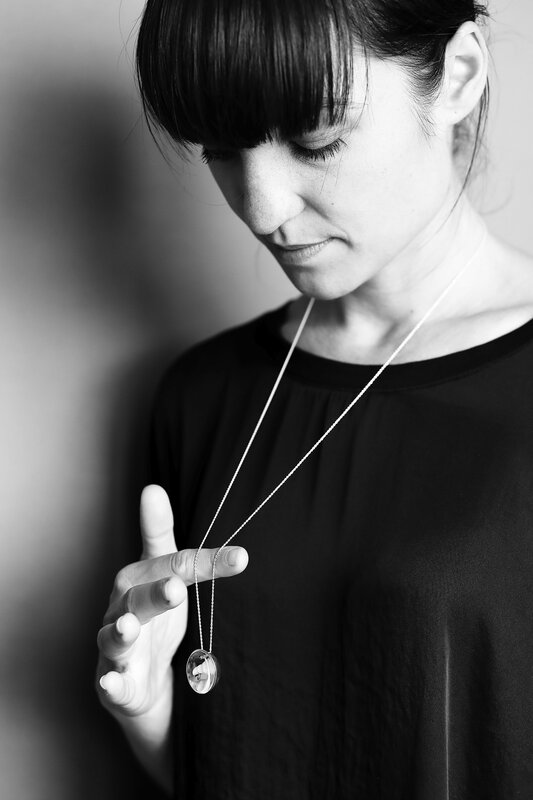 Since a medallion is an inward, personal piece of jewelery - there is always something a bit hidden in it. So I created two parts / halfs with a hinged lens where your "treasure" is kept. No complicated opening, you see your dear ones right away. Yes, they're always there! You can wear it either with the concave or the convex side of the hemisphere visible. Pleasant to touch, tactile with intuitive opening.